Join us at Southwest Wildlife Conservation Center (SWCC) for a unique guided tour of our conservation center by the darkness of a new moon. While the blissfully bright full moon offers predators hunting light, the sheltering dark of the new moon gives the hunted a chance to hide. 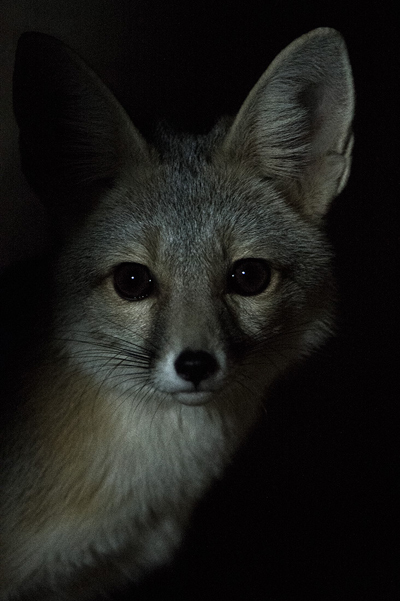 New Moon Tours offer guests the chance to see what our native wildlife is up to in the mysterious hours of night. If you're lucky, you might even hear a serenade from the Mexican gray wolves or the tiny howl of the grasshopper mouse! You may see the courting dance of a tarantula or the climbing acrobatics of coati. Tour fee: $30 per adult; $20 per child which goes towards the care of the animals at our center. New Moon Tours of Southwest Wildlife Conservation Center (SWCC) take place completely outside. Dress for the weather and wear close-toed shoes. The tour route is lit. These evening events feature light snacks. Please arrive 5-10 minutes early and allow 2 hours for your experience.